Initially word from our producer has me very psyched about some casting directions they're heading in. Obviously, I can't say anything until it's public knowledge, but if all works out, expect a full-on, super sloppy geekgasm. 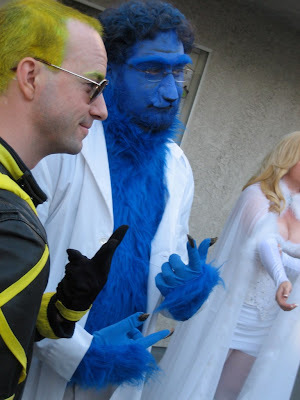 BTW -- picture is too cool-as-f screenwriting friends as two even cooler X-Men. Fur and Feathers!